Apple iPhone 8 delivers a top-notch performance making your life simple and fun with its cutting-edge technologies and innovative features. This iPhone 8 makes everything you do quicker, easier, and more fun. It is driven by an A11 Bionic chip with six cores and 64-bit architecture that has the power to run through any complex task you throw at it. Thanks to the 64GB internal space, you can install loads of games and apps without worrying about the device running out data space. This Apple phone comes preinstalled with iOS 11 that is one of the most advanced operating systems in the world. It is simple to use and offers maximum security to your private contents with the help of high-end technologies and intuitive features. All the more, this device is equipped with a 12MP rear camera that uses a F/1.8 aperture to capture excellent low light pictures. The rear camera with its optical image stabilization feature will let you enjoy an amazing photographic experience. Furthermore, the 7MP HD camera gives you a crystal clear video calling experience, while letting you capture glamorous selfies. This device is dust, water, and splash resistant. Whether you are building a presentation, exploring photos or watching movies; the 4.7inch Retina HD display has the size and detail to bring them to life. Furthermore, the TouchID is built into the home button and offers incredible responsiveness so that you can complete all your tasks easily and quickly. This Apple iPhone 8 flaunts a sleek and compact design that allows you to carry it anywhere you want. Available in an elegant Space Gray, this Apple device looks appealing and chic. Take stunning shots with the device’s high-end cameras. The 7MP front shooter with wide color capture, Retina Flash, auto image stabilization, and advanced pixel technology takes drooling self-portraits. The next‑gen HEIF compression technology allows you to shoot high-quality videos and pictures at half the file size than before. 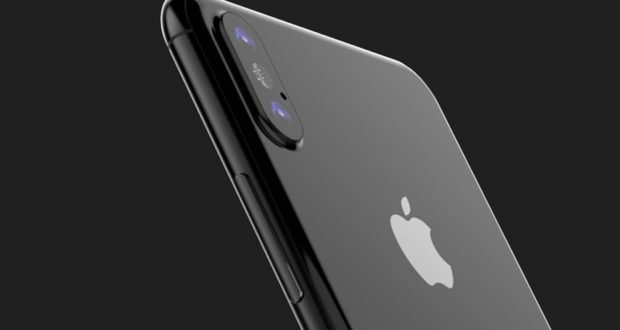 All the more, this Apple phone features a 12MP rear camera with a F/1.8 six‑element lens and an optical image stabilization feature. It has a faster, larger sensor, a new color filter, and deeper pixels that enhance the picture quality. Order the iPhone 8 64GB today and have it delivered to your doorstep within 1-3 working days or same day delivery within Nairobi. Payment on delivery.